Today I wanted to share 3 books that I’m most excited to be released in January! 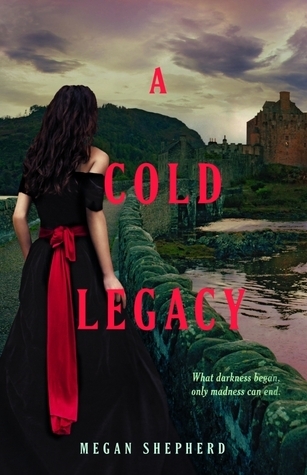 In no particular order, we have “A Cold Legacy” by Megan Shepherd. This is book 3 of The Madman’s Daughter trilogy. I absolutely LOVE this series! It’s so creepy and is full of plot twists, so I can’t wait for the conclusion. Basically, Juliet Moreau’s father has created some peculiar creations, and Juliet is getting caught between all the evilness. It’s release date is January 27, 2015. I don’t have a review for book 1, but you can read my review on book 2 here. Next up, I’m excited for book 3 in the Splintered trilogy, “Ensnared.” This trilogy is a crazy take on Alice in Wonderland. You can read my review on book 1, “Splintered”, here, and my review on book 2, “Unhinged”, here. 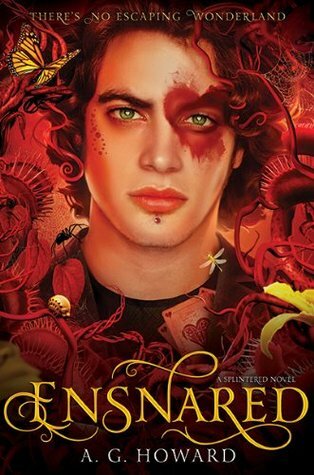 I feel like “Ensnared” is going to be an epic conclusion to this magical, evil world A.G. Howard has created! It is to be released on January 6, 2015. 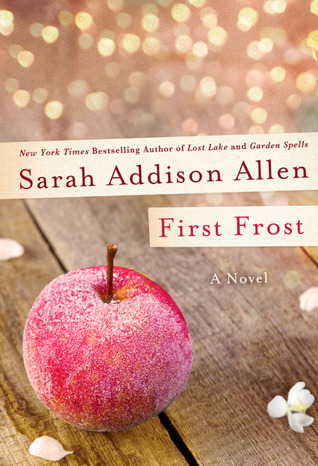 Lastly, we have “First Frost” by Sarah Addison Allen. I started reading her books when I was in high school, like 7 years ago! She creates a magical, sweet, believable world with her stories. This is a continuation of the Waverly family from her first book, “Garden Spells.” Each of her books contain massive amounts of magical realism which I LOVE SO MUCH. It’s release date is January 20, 2015. There’s lots of great books being released in 2015! What are you most excited for in January?